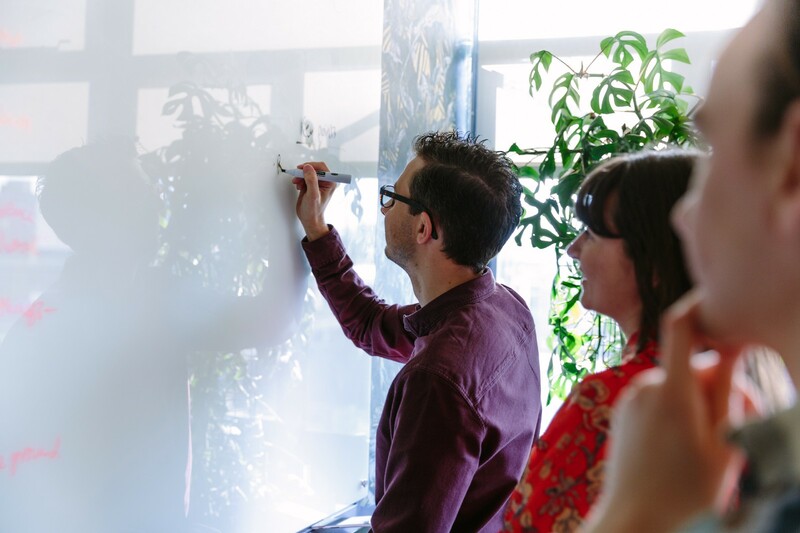 At the end of last year the Lantern team sat down to discuss our goals and ambitions for the year ahead. It’s difficult to pin the blame entirely on one person, but someone definitely suggested that going forward, we should update the style of our proposals and creds documents. Fast forward three months, countless internal discussions, catch-ups and presentations, and here we are with redefined brand values, a refreshed proposition, updated tone-of-voice and a brand manifesto. Not only that, we now have a brand new logo, colour palette, brand font and updated website. How did that happen? 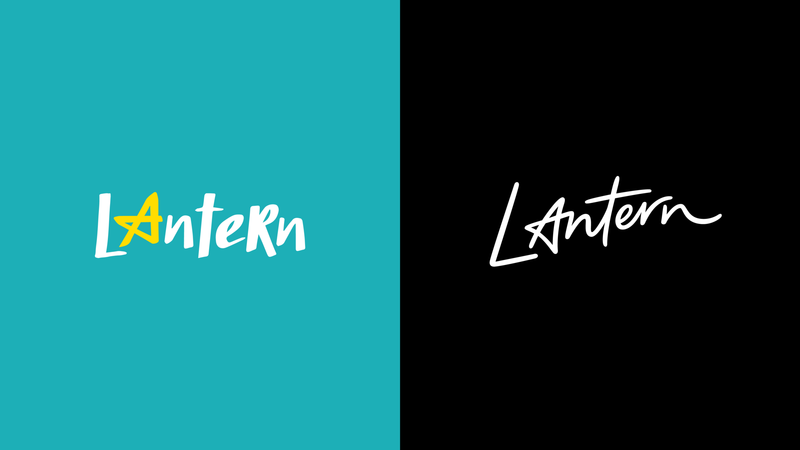 Well, it’s been over four years since Lantern set-up shop with its original identity and a lot has changed in that time. 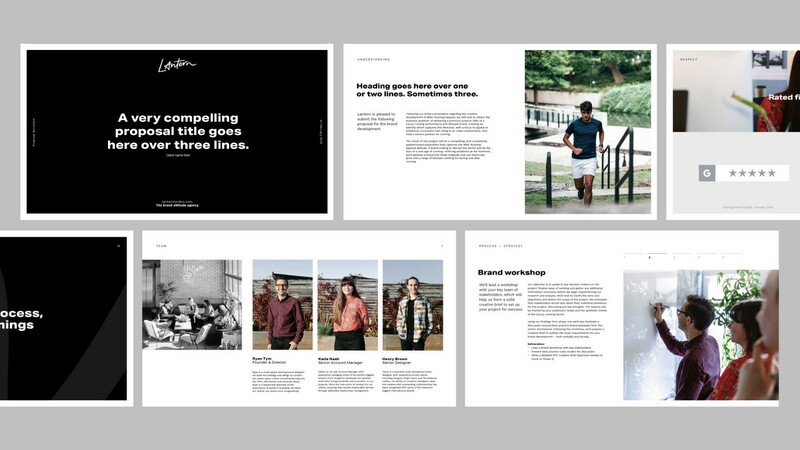 We’ve worked with start-ups, giant multi-nationals, social enterprises and charities across sectors as diverse as fashion and fitness to place branding and property. We’ve been fortunate enough to have won awards for branding, strategy and copywriting including nine Transform Awards as well as being recognised by the national press. Despite the hard work and focus on how our clients look and talk, one thing that hadn’t changed or grown with us is our own branding. As soon as the loose thread of our new business collateral was pulled, it’s no surprise that the rest of the branding unravelled and suddenly needed updating. Up until that point, we just couldn’t see it. By living with it so long, our logo and brand identity had become part of the furniture — a lovely old armchair in the corner. We were blind to how it no longer reflected us as a business or who we wanted to be. We spend our days ensuring our clients brands stand out and reflect who they are. However, as most designers will agree, branding yourself is a different story. We are our own worst critics and this makes it an incredibly slow and painful task. Also, internal projects always loose momentum and get brushed aside when other work comes in. Which is why we decided to do it properly. We treated it like a client project, scheduling it in and applying the same process we would usually apply to a client brief. This would allow us the opportunity to fine tune our creative process and play the role of both client and agency. Sounds fun right!? So after an initial meeting outlining the need to update our branding we set out planning the project. 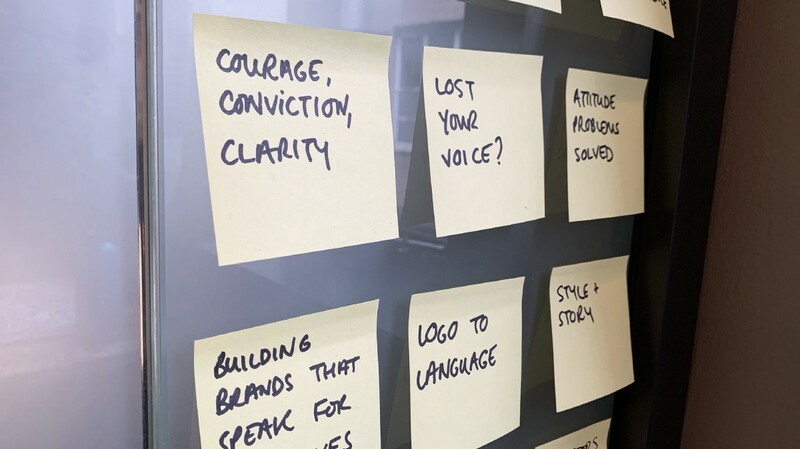 As tempting as it was to jump straight in to logo development, we set off the research and analysis stage with a good old fashioned SWOT analysis, identifying the strenghts, weaknesses, opportunities and threats of the old branding. We looked at competitors (or friends in our case) and more left-field reference points from the world of branding. Usually at this point we would also conduct site visits, stakeholder interviews and identify audience personas. Next we all sat down for a couple of hours for an internal brand workshop. During this stage, we usually uncover real client insights by taking a step back and asking really simple questions — ‘Can you explain what you do in a few sentences? What makes you different? Who is your audience?’ To do this for ourselves was weird. “We know all this stuff” was said far more than once, but we knew how important the simple exercise of just getting it all down on a white board was. We also wanted to make sure that the project was enjoyable and exciting for us. That meant taking the opportunity to do things that we don’t get the chance to do as often as we’d like to — for us that’s collaboration. With the parameters defined we started the daunting task of the visual and verbal creative development. 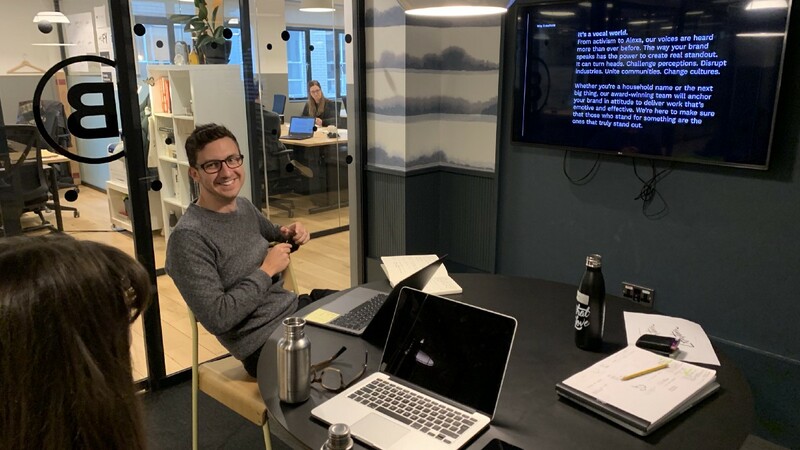 We place a lot of emphasis on tone-of-voice and copywriting for our clients, so at the same time as developing the visual side of things, we were also looking at the verbal. Explaining what we do isn’t hard. It’s not rocket science and most people get it. 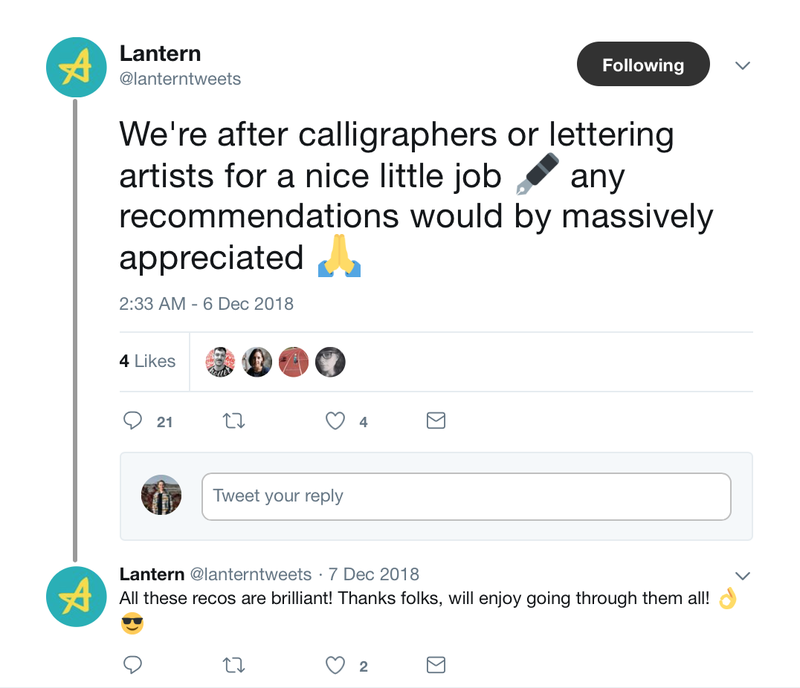 But we wanted to define a clear, confident voice for Lantern in the form of creative headlines for our website and new business documents. We already had a strong positioning statement — the brand attitude agency — that we were happy with, so it was a case of building on it to drive our own attitude. story + style = brand attitude. It’s important at this stage to keep things fluid and rough. 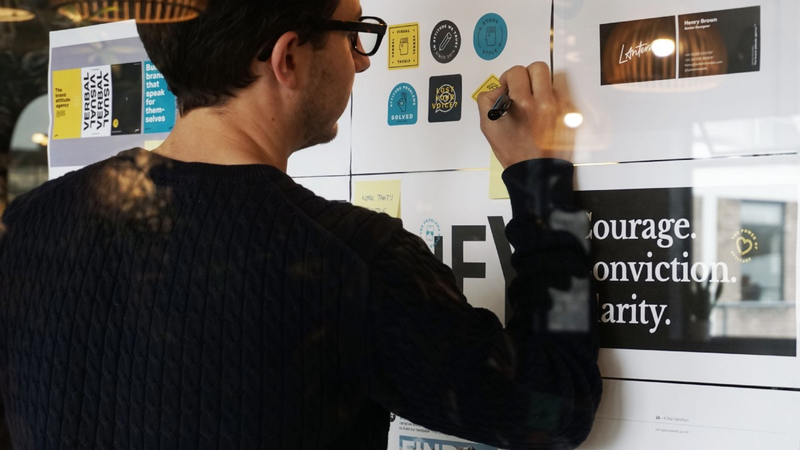 Post-it notes of puns and cliches tend to be first up on the wall but once they’re out the way and exorcised from our heads, some useable ideas start to take shape. We always find it’s better to have too many creative headlines and to refine and whittle them down later. What and how do we make brands stand out? Why is our approach important? On tackling the visual side of things, we knew what we wanted to achieve; we had to look confident, premium, smart and friendly. 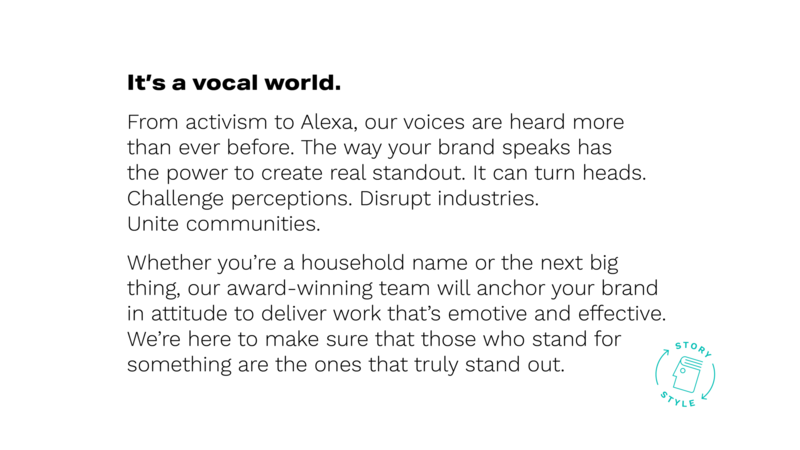 To make things easier, we knew we wanted to keep a simple, hand-lettered theme for our logotype, maybe even keep the ‘A-star’ element. As designers and typographers, we like to think we’re pretty good at lettering. But we’re not specialists. 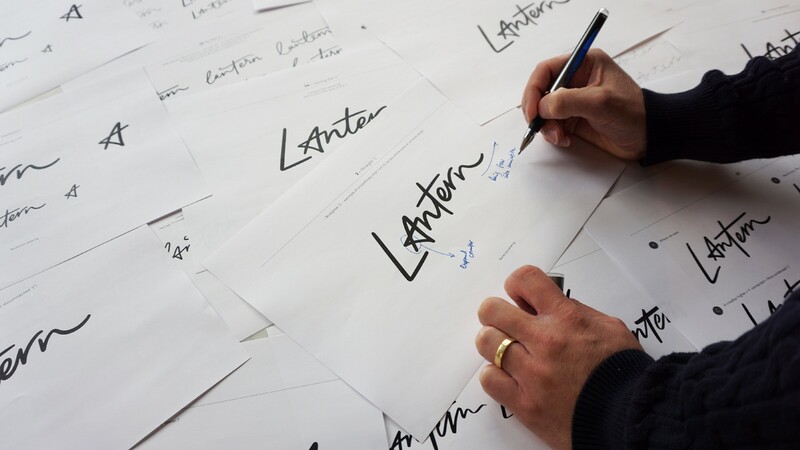 We decided to work with a lettering artist or calligrapher to ensure it was the best it could be. Often on client projects, the budget isn’t there to commission illustrators, lettering artists, motion designers, etc. so we were excited to build our network of collaborators and specialists. We got a ton of recommendations via Twitter (thanks guys!) which led us to get in contact with a number of lettering artists. After speaking to a number of talented designers, who would have all done an incredible job, we commissioned the wonderful Rachel Joy Price, who had a lot of styles that demonstrated what we envisioned. 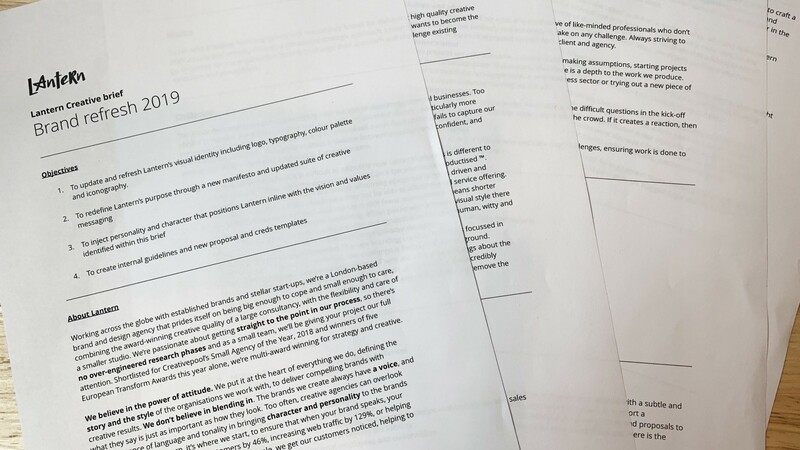 Rachel sent over initial sketches and rough ideas that allowed us to easily make creative decisions and give feedback before she worked up more polished versions. The whole process was a breeze. And the result was a logo that we ourselves probably wouldn’t have executed in the same way, or as well. The final logo has an effortless flow, charm and personal quality. We worked with motion designer Marcus Chaloner to get the logo moving. To coincide with our new revamped messaging we wanted a new brand typeface. For headlines, Aktiv Grotesk Extra Bold (yum!) strikes the balance between characterful and confident. For body copy, Work Sans provided and open and fresh character, complementing the strength of Aktiv Grotesk. For colour we wanted to evoke a more clear and confident attitude. Scaling back our use of colour to just highlights and using black and white was fundamental to this. Rather than completely changing our palette we made minor tweaks to the colours themselves. Our familiar teal and yellow would not be lost, just used differently. 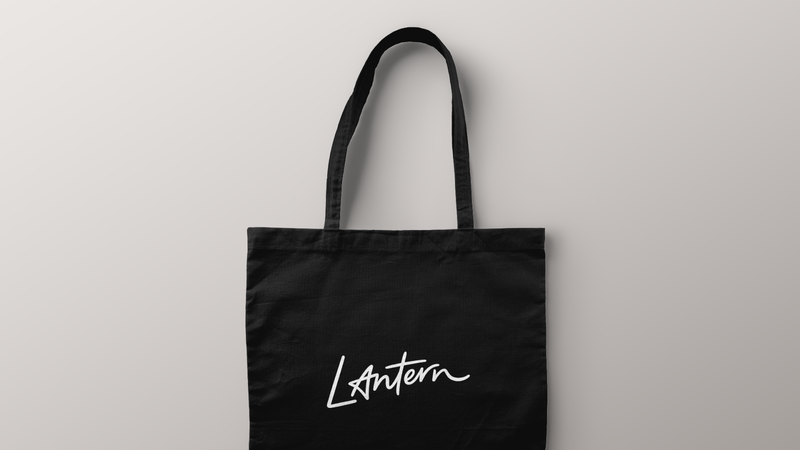 It was important to make sure that the branding would last for a long time. After all this work it would be a shame if in 18-months time we weren’t still excited and happy with it. One way to ensure this wouldn’t happen, was to build a bank of assets that could evolve and flex over time. 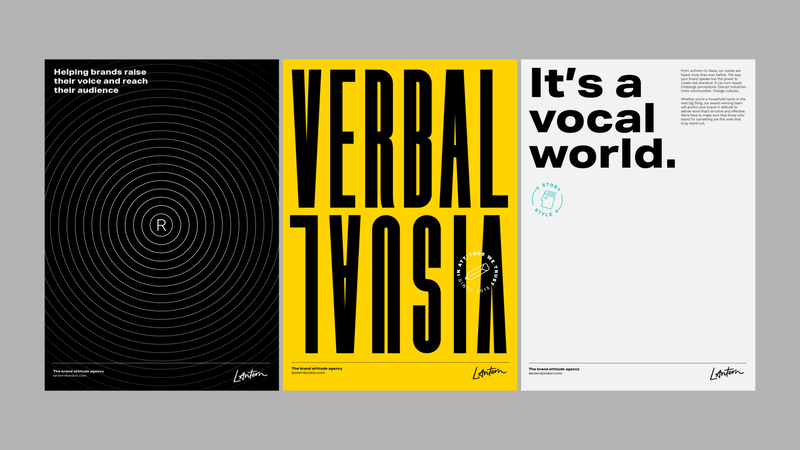 Icons, stamps, headlines, posters and photography all come together to form our brand system. 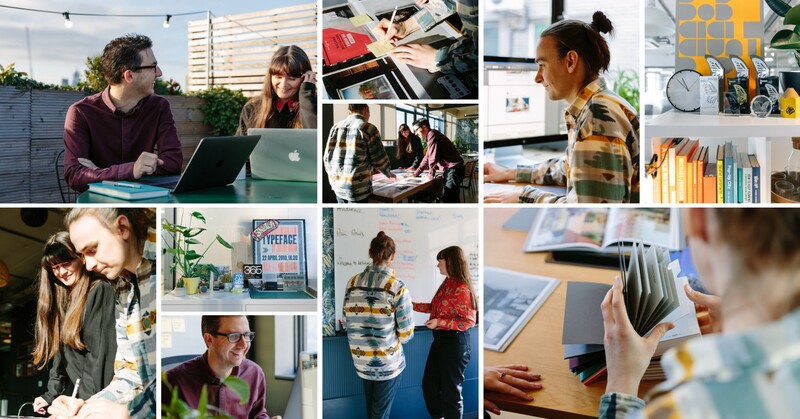 We commissioned photographer Morgane Bigault to take some shots of the team and the studio to help brighten up our collateral. What began as a quest to redesign our new business documents, became a full internal rebrand and we couldn’t be happier. It’s a great example of how it’s possible to build on existing brand assets and messaging, and articulating it better. We’re all really proud of our new branding and feel that it reflects us an agency much more accurately. We can’t wait to show it off over the coming months. Thanks again to Rachel Joy Price for the beautiful lettering, Marcus Chaloner for the motion magic and Morgane Bigault for making us look nice. Check out our website for more projects. If you don’t want to miss an update then you can follow us on Twitter, Instagram and LinkedIn too. Thanks to Katie Nash and Ryan Tym.